Aerial Boom Lift Training Calgary - Aerial Boom Lift Training is needed for any person who operates, supervises or works near boom lifts. This particular type of aerial lift or aerial work platform is for lifting people, materials and tools in projects requiring a long reach. They are usually used to access utility lines and other above ground job-sites. There are various types of aerial booms lifts, like articulating boom lifts, extension boom lifts and cherry pickers. There are two kinds of boom lift: "telescopic" and "knuckle". 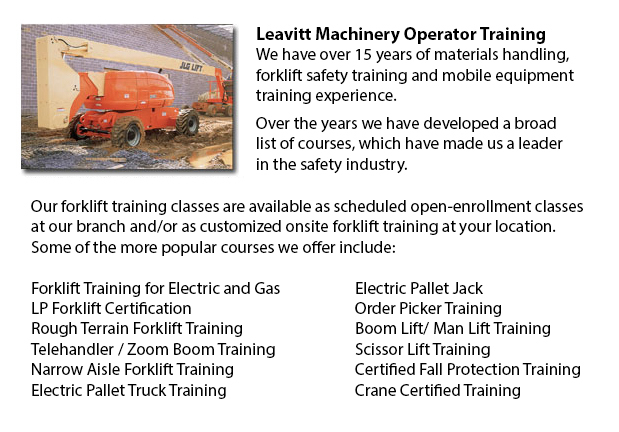 Boom lift training is vital and usually involves the basic operations, equipment and safety concerns. Employees are needed when working with mobile equipment to understand the rules, dangers, and safe work practices. Training program materials offer an introduction to the applications, terms, skills and concepts necessary for employees to gain competence in operating boom lifts. The material is aimed at safety professionals, workers and equipment operators. This training is educational, adaptive and cost-effective for your company. An effective and safe workplace could help a company attain overall high levels of production. Less workplace incidents occur in workplaces with strict safety policies. All equipment operators should be trained and assessed. They require knowledge of existing safety measures. They should comprehend and follow rules set forth by their employer and local governing authorities. Employers are required to ensure that their employees who operate aerial boom lifts get proper training in their safe use. Operator certification is needed on every different kind of aerial machine utilized in the workplace. Certifications are offered for articulating booms, aerial work platforms, industrial forklift trucks, scissor lifts, et cetera. Completely trained employees work more effectively and efficiently compared to untrained personnel, who require more supervision. Proper training and instruction saves resources in the long run. The best prevention for workplace deaths is right training. Training can help prevent electrocutions, falls and tip overs or collapses. Aside from obtaining the necessary training, workplace accidents could be better avoided by using the aerial work platforms according to the manufacturer's instructions. Allow for the total weight of the materials, worker and tools when adhering to load limitations. Never override mechanical, electrical or hydraulic safety devices. Employees must be securely held inside the basket making use of a body harness or restraining belt with an attached lanyard. Do not move lift machine when workers are on the elevated platform. Employees must be careful not to position themselves between the basket rails and joists or beams in order to prevent being crushed. Energized overhead power lines should be at least 10 feet away from the lift machine. It is recommended that workers always assume wires and power lines may be energized, even if they appear to be insulated or are down. If working on an incline, set brakes and use wheel chocks.